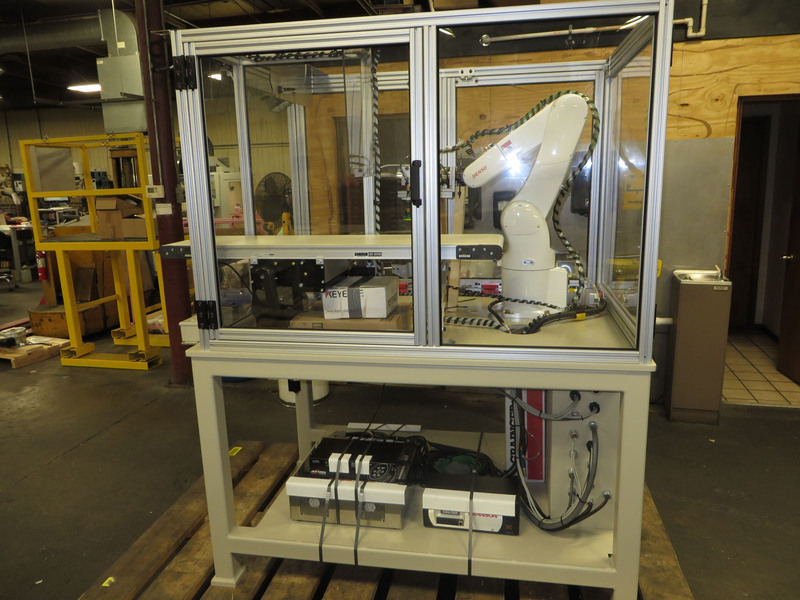 Robot Cells - Craig Machinery & Design, Inc. 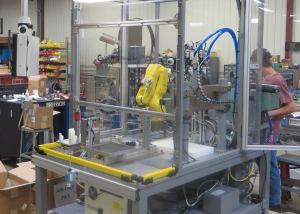 Since 1977, Craig Machinery & Design Inc. has designed and built automation machinery for the plastics industry. 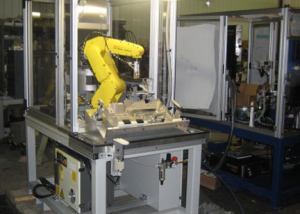 Craig Machinery & Design is an authorized Integrator for Fanuc America. 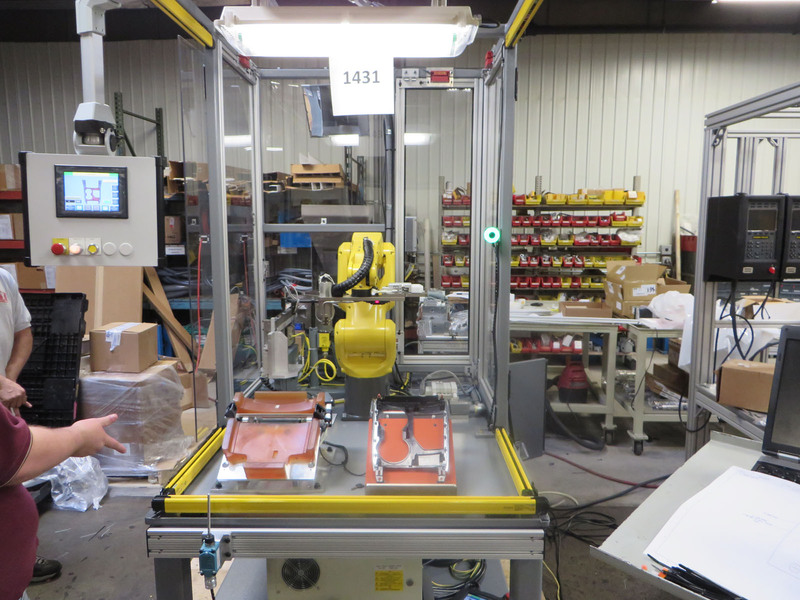 We have experience with using robot cells for material handling, assembly and dispensing. 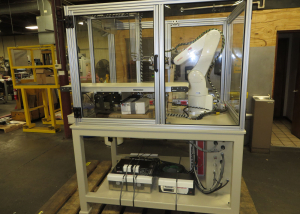 Craig Machinery also has programmed ABB, Denso, IAI and Yamaha 6-axis and SCARA robots. 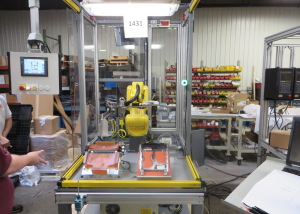 We have the experience to handle your automation needs from small fixtures to large multi-head rotary indexing table systems with sound boxes and part handling systems. 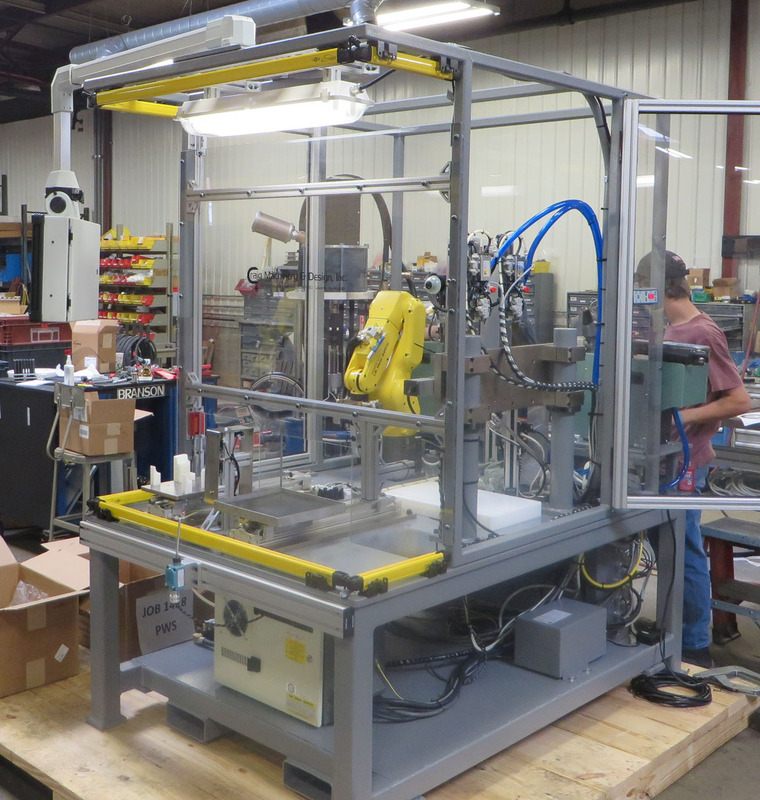 Specialties include plastic welding, leak testing, general assembly, fluid fill and clam shell machinery. 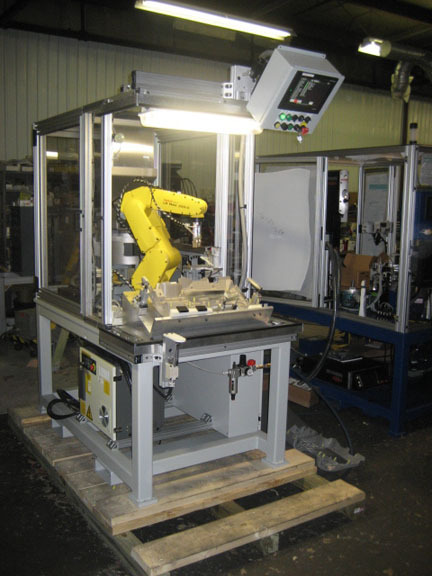 We have the highest reputation for service – as a full service automation company with complete in-house machine design and build capabilities.